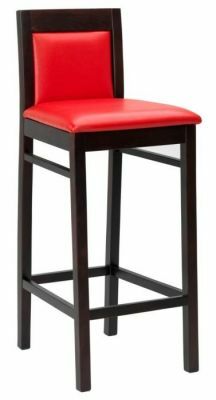 Durable wooden bar stools with a faux leather seat and wooden frame in a choice of fourteen finishes. European Beech construction. Normal lead time is 15-20 days from order. 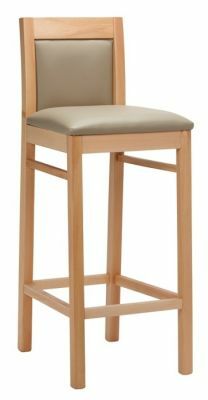 Stylish and durable wooden high stool with an upholstered feature centre. The padded centre adds comfort and stylish to this stool. Lead time of 15-20 working days.